So.. I meant to post this already but some family stuff occured and running behind! 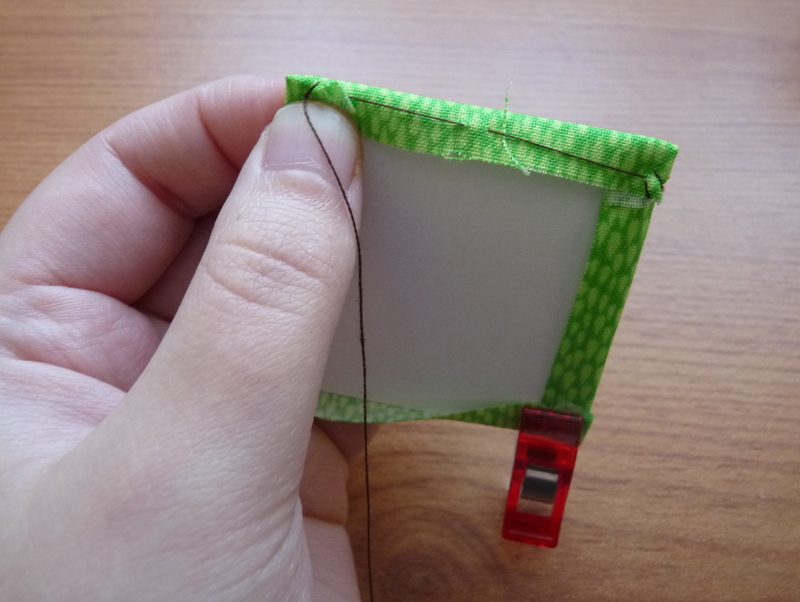 This is not meant to be an A to Z of EPP but some basics to get you started. I’m not advocating it to be the best way- just the way I found that I prefer. The main thing is for you to experiment and find something that you are comfortable with and enjoy. What is EPP I hear? 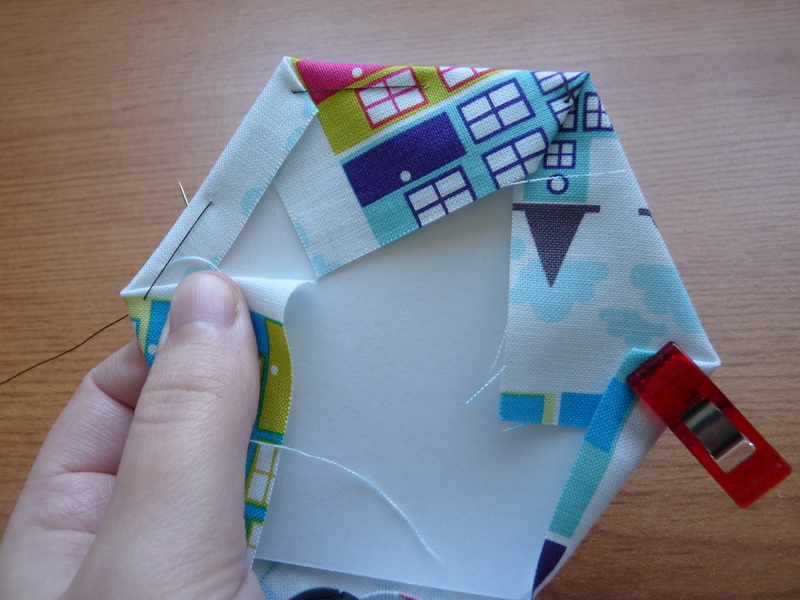 EPP or English Paper Piecing is a form of handsewn patchwork where fabric is wrapped around paper/card shapes then stitched together to create a loving delicate piece. Some of my fellow Bee Europa are kindly helping me out with a long term pet project of this block! It’s Spring Carnival by Katy Jones (you can find more details and templates for it here from her blog Monkey Do). I loved this block since I saw it and knew it be perfect for my slow growing collection of Heaven and Helsinki fabric (if anyone has any scraps of this left please send them my way 😉 happy to swap!). I’ve decided to cut into my precious Rain Basics to team with it. Fellow Bee Europa- hope you enjoy this block- I’m a sucker for symmetry you might have noticed! This is generally my travel kit (minus the book) a little tub complete with templates, fabrics, clover clip, basting thread, neutral thread, scissors and different types of needles! I know I really need find the time create a mini travel kit for me but for now this will do! 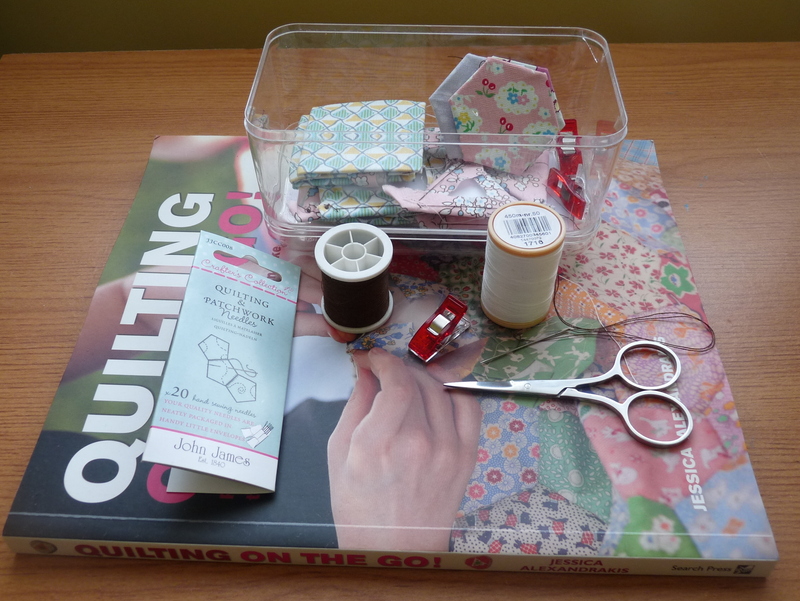 Have you come across the book Quilting on the Go yet? It’s full of inspirational designs (more on that another time). So now onto basting… Depending on my mood I tend to baste in two ways. 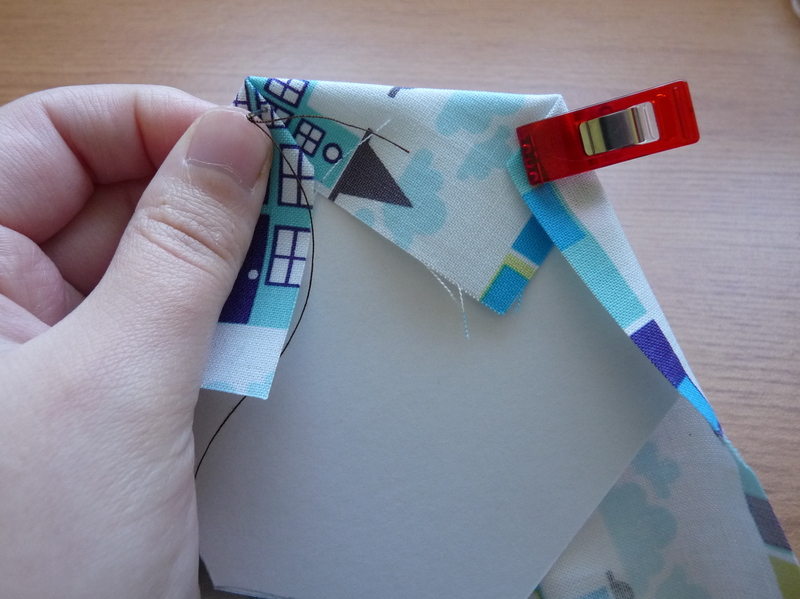 You can also use Sewline Glue Pen to baste the shapes to the fabric. I might have been overgenerous with some of my seam allowances but generally you’ll need approx 1/4″ all around. 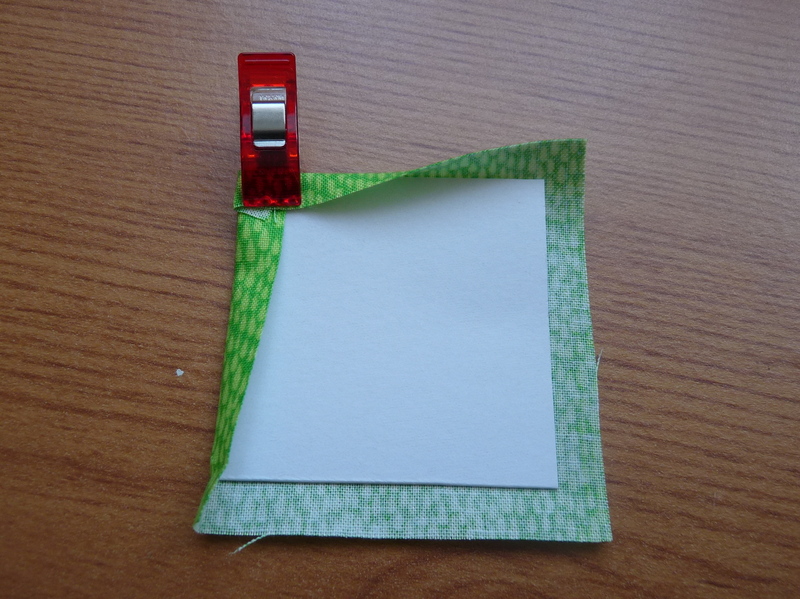 I found that using a Clover Clip helps me to keep it in place but you can use paperclips, hair clips or anything. 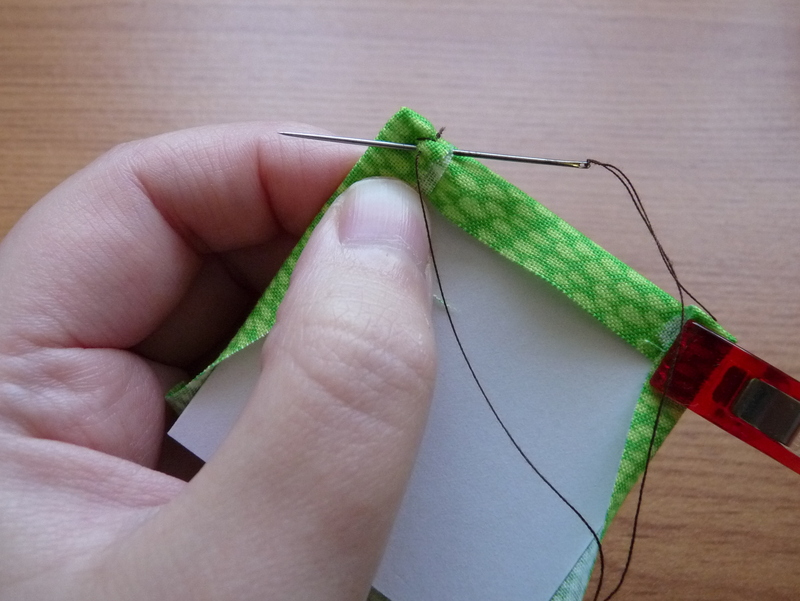 To start with fold your first corner over and press keeping the fabric smooth, place a clip to hold the place and move on to the next corner. 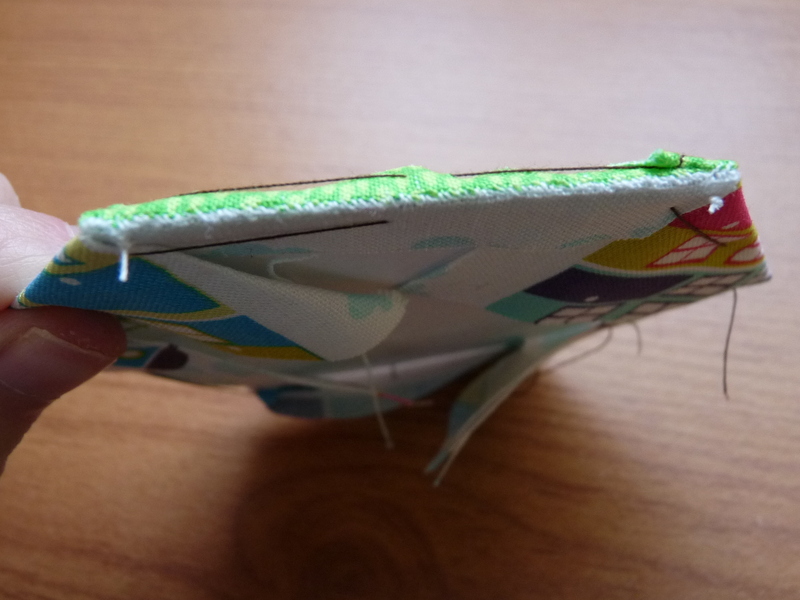 Do a couple of back stitches to secure the first corner then work your way around the piece smoothing the fabric as you go being careful not to go through the template but sticking within the seam allowance. 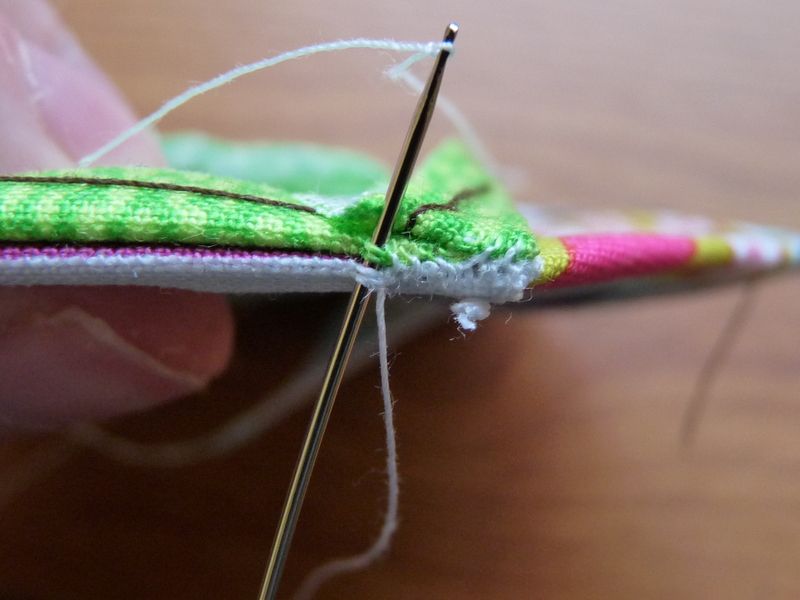 Similar to method one but instead of using just within the seam allowance baste through the template as you work round. There are pros and cons to both methods, the first method means your template is easier to remove and more reusable. The second method I found is more secure and stable. 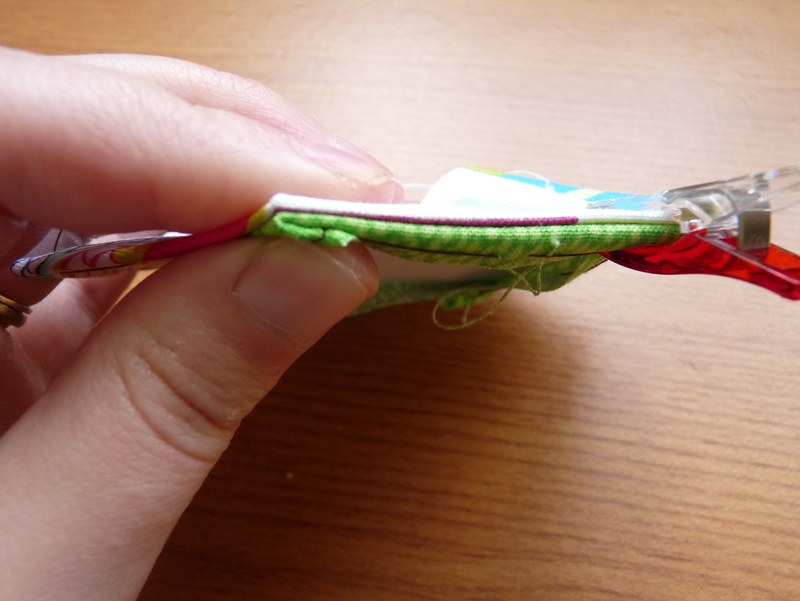 There are a few ways to attach the pieces together but a whip stitch is the most common- even though the stitches will be visible slightly it will be more durable. 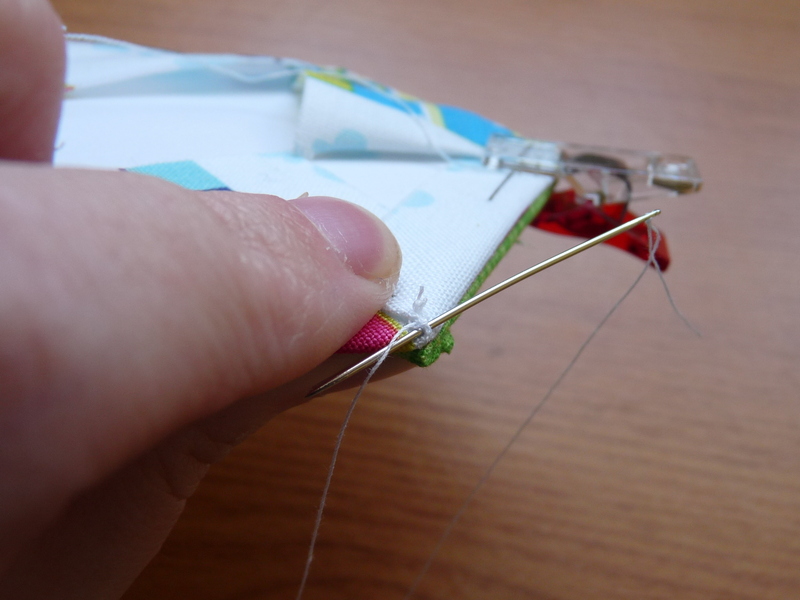 Work your way across the edge catching the very end of the fabric. There is usually a debate about how many stitches per inch but go with what’s comfortable the range that’s usually done is between 12 to 25. When you are done it should look something like this! 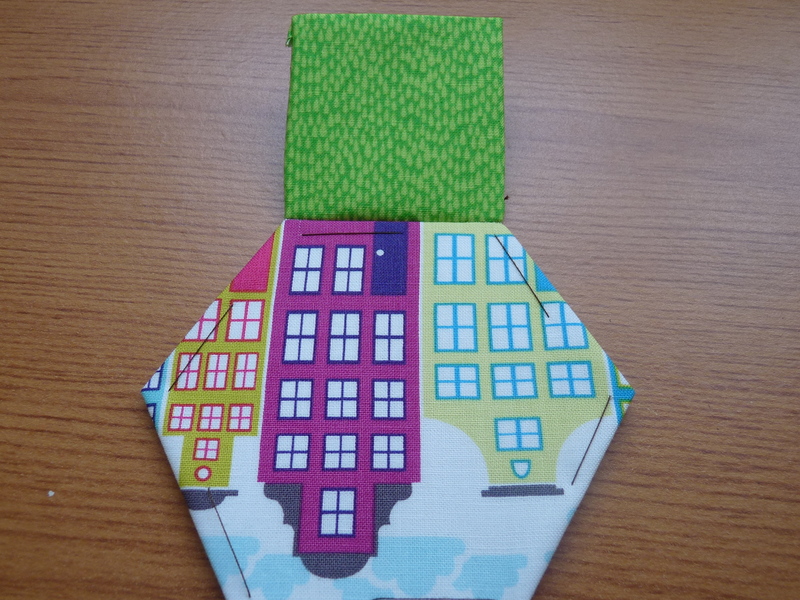 For this pattern you can either attach the triangle to one side of the square before attaching to the hexagon. Hope that’s of some use! And that some of you will delve for EPP now- there will be some kits coming into my shop soon (or send me a message if you can’t wait). Feel free to contact me if you need help or want to know more. 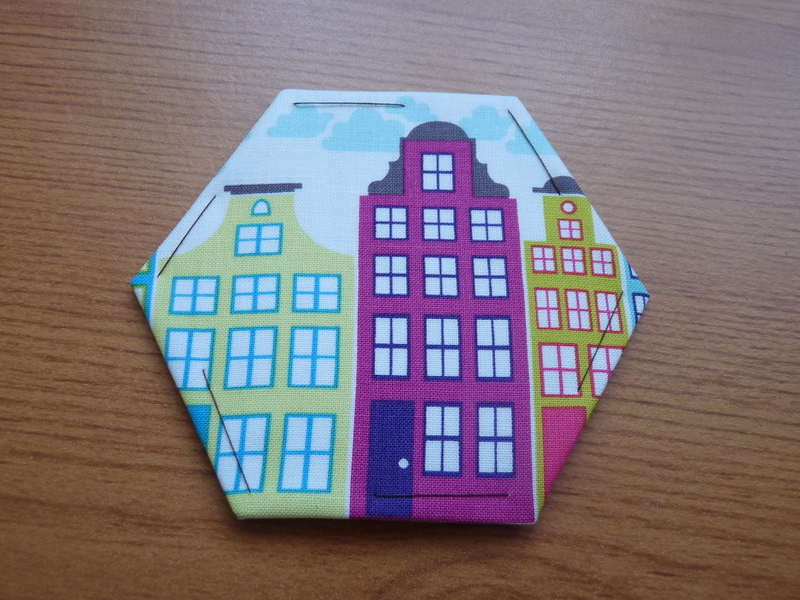 Just started with EEP hexies and I love them! Seems that my first comment disappeared. 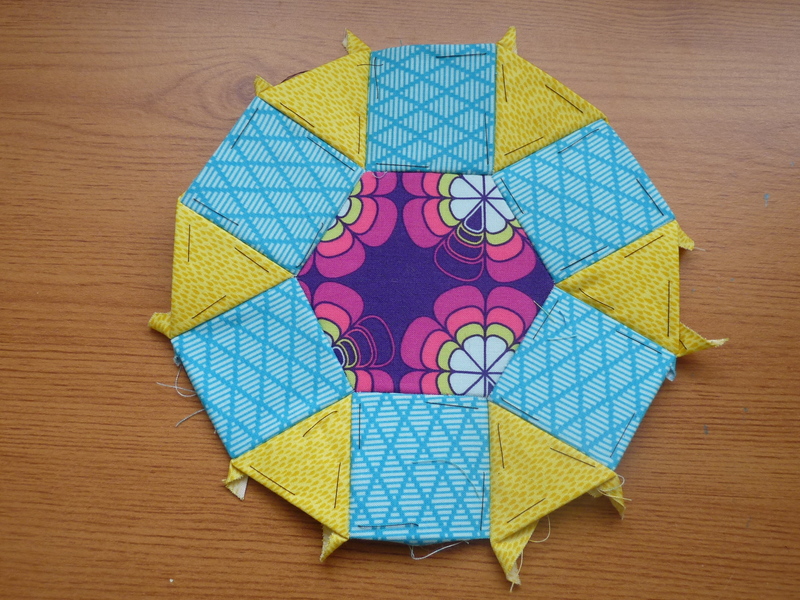 I started with EPP hexies and love them! 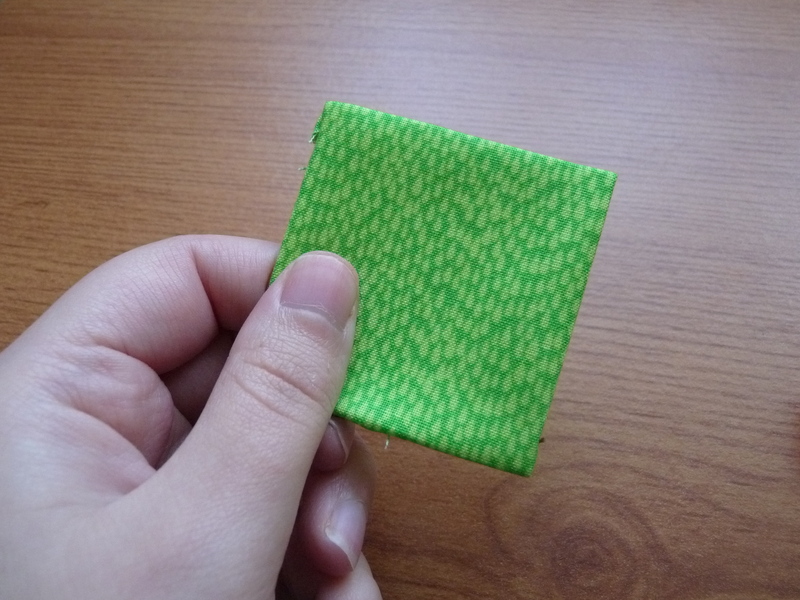 I might have a little bit of H&H left over from my Square Dance quilt, any in particular you’re looking for? I haven’t done EPP since I was a teenager. I did lots os hexagons things. You have reignited my passion, so think I might have another go at it. Great tutorial. Hi, just seen your reply and just realised that you are also on the Craft Britannia team too. I hadn’t realised that. I think I first saw you via Clairabellemakes. Claire is a friend of my daughter Verity. Anyway, I would love for you to do a guest post for my blog. I really want to make more of my it. I’ll talk to you via convo at CB.